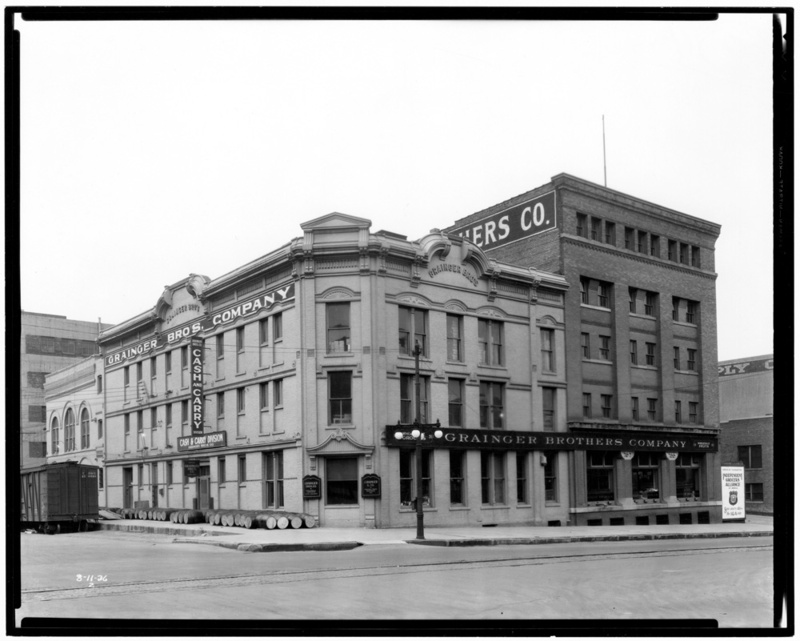 The Grainger Brothers Companies were one of Lincoln's largest wholesale grocers and a major presence in the Haymarket, occupying the whole west side of 8th Street from O to P Streets. 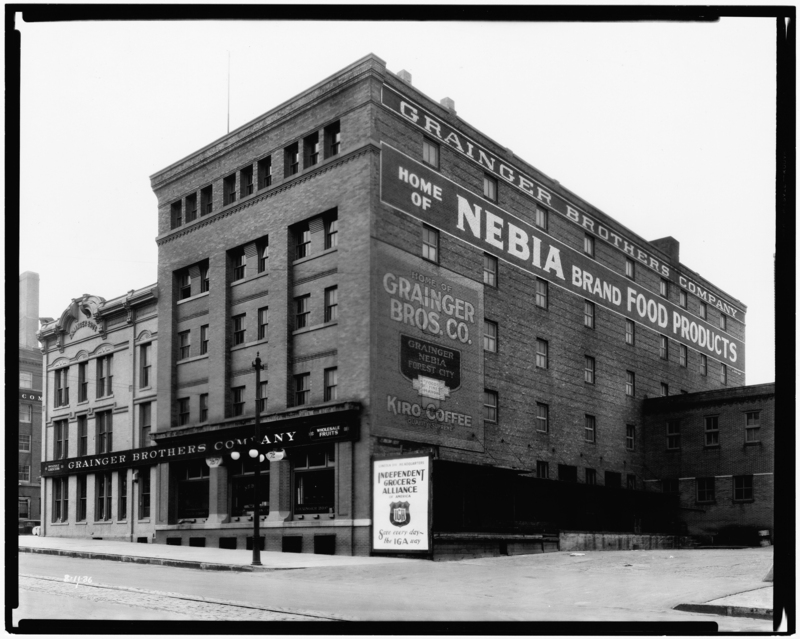 The old photograph shows the complex, which housed both the Grainger Brothers Company, wholesale grocers, and J. Grainger & Company, wholesale fruit dealers. The Graingers' special "Nebia" brand was represented by an elephant with the words "Good & Great" underneath. By 1923 the Grainger companies employed 42 salesmen covering five states. They ceased operations in the mid-1960s. In 1906 the Graingers employed Fiske & Dieman to design the five-story, buff brick warehouse at 733-737 P Street. Built at a cost of approximately $40,000, it became the model for the firms' subsequent construction at 8th and O Streets. Note the finely carved address stones above the first floor piers. On the middle floors the window bays are recessed, forming simple piers of the principal wall plane, while the top floor caps the facade with smaller, deeply recessed individual windows. It is a simple but sophisticated design.